Our senses are something that we often take for granted, which is a big mistake seeing as how important they are to our daily lives. Without our senses everyday life would be infinitely more difficult and we’d struggle in a lot of different scenarios – something that the blind and the deaf know well. Our senses – much like our muscles – are something that can be trained, and that can be improved with the right exercises and diet. By doing this we can help make the most of them, keep them sharp, and benefit from having them as highly tuned as possible – whether that means you are better able to enjoy a delicious meal, whether it means you hear something coming behind you and are able to dodge out the way, or whether it means you can quickly spot whatever it is you’re looking for in the supermarket. First of all, bear in mind that a lot of the time we don’t actually pay attention to what we are looking at and hearing. A lot of it is filtered out by our brain as ‘unimportant’ and we only tend to really register what it is that we are actually looking at or for. Here’s something to try – stop looking at the computer screen now and look around your room really carefully taking everything in that you see. You’re likely to notice something that you didn’t realize was there before even in your own home – whether it’s a small crack in the wall or a splat of paint. More impressive is stopping to listen. We block out a lot of the noises we hear normally, but now try listening to the sounds around you – chances are there’s cars going passed, a clock ticking, birds chirping, murmuring from another room, a drill somewhere miles away… and you probably hadn’t noticed any of it. How about your skin, try feeling the breeze against it and the temperature in the room. Feel the floor against your feet and the discrepancy between the temperature of your feet and hands. All this tells you a lot more about the room you’re in, but it also illustrates how much our senses take in when we let them. 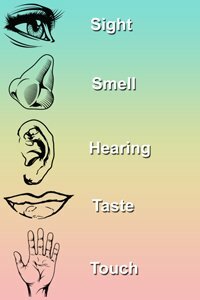 From time to time try ‘engaging’ your senses like this and you will help train them to work better. You can also improve your senses directly with more intensive training and lifestyle changes though too. Here are some suggestions. Palming: Here you cup your hands over your eyes so no light enters and then you concentrate on completely letting them relax. Do this a few times during the day. Sunning: This involves shining a light on your eyes which will cause the pupils to adjust. Make sure it’s not too bright though or you may damage your eyes. The Long Standing Swing: Here you are turning your head from side to side while letting your eyes look continuously forward. Repeat this around 30 times. You can also practice improving your ability to track items in your visual field by moving your hands around and bringing them closer and further from your face and trying to adjust your focus. You also need to look into your general lifestyle and diet. It’s a well known fact that carrots can improve our eyesight and this is due to the inclusion of beta carotene which the body converts into vitamin A – crucial for our eye health (though it is a myth that carrots can help you see in the dark). Maintaining a generally healthy diet and eating lots of protein can also help maintain good eye health. Avoid doing anything conversely that can damage your eyes and that means avoiding staring at computer screens for long periods of time or staring into the sun. We often take our smell and taste for granted, but this is a big mistake considering how richer they can make the experience of eating, and how we tend to use smell in formulating and retrieving memories. Taste is 75% smell, and so if you can improve your smell, then you can improve your taste by improving your smell. One of the best substances to help improve your smell is zinc, and studies have demonstrated that eating more of it can help improve your smell. Zinc is found in beef, oysters, baked beans and other foods. You can also ‘practice’ taste in order to improve your ability to pick out flavors and aromas. This has been aptly demonstrated by chefs and food critics who have gained the ability to taste very subtle differences in food simply by focusing on the foods they are eating. Doing a wine tasting course may help you to do this – and remember that different parts of your tongue are used for tasting different flavors. Hearing can also be ‘trained’ and for sound engineers and several other careers this is part of the training. Again then if you want to improve your hearing then simply listening out for sounds and picking instruments out when listening to music. Simply spending more time in quiet environments can help to as your ears will adjust to low level sounds. You can also improve your hearing instantly by closing your eyes at which point we naturally focus more on the sounds around us. Obviously maintaining good ear hygiene and avoiding build ups of wax will help you to avoid hearing difficulties too.